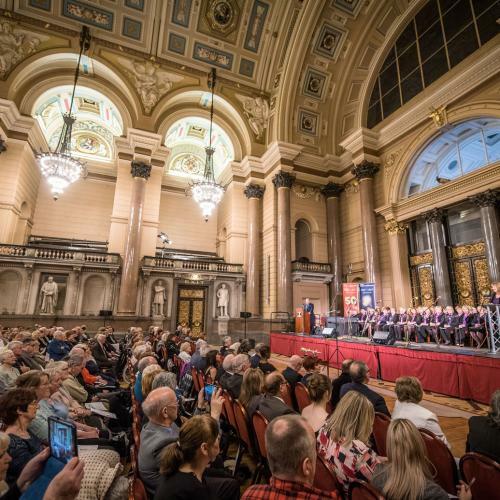 BBC Radio Merseyside’s 50 years of broadcasting was celebrated in a special show last night involving some of the city’s best-known talent and included the presentation of the Freedom of the City award, Liverpool’s highest civic honour. 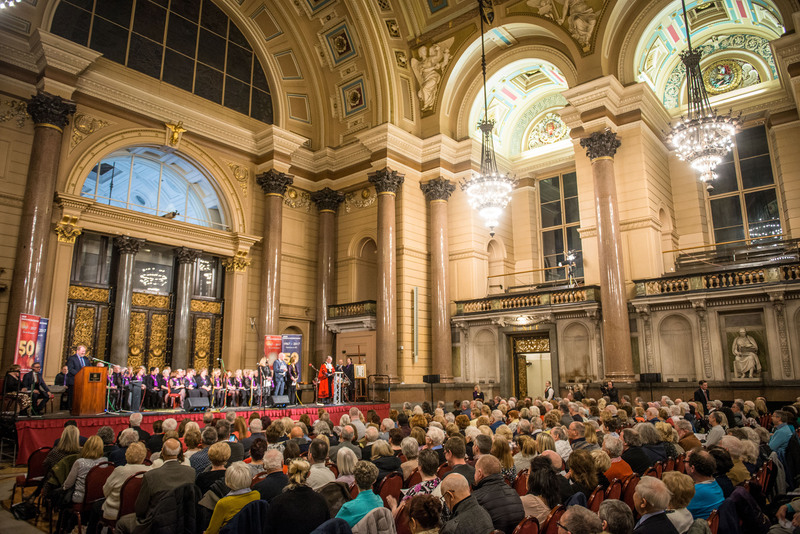 Frank Cottrell Boyce (author), Ricky Tomlinson (actor), Pauline Daniels (actor), Levi Tafari (poet), Pete Wylie (singer-songwriter) and Jennifer John (singer-songwriter) were joined by other local talent including presenters from Radio Merseyside and singers from Sing Me Merseyside Choir and Liverpool Metropolitan Cathedral Girls’ Choir. 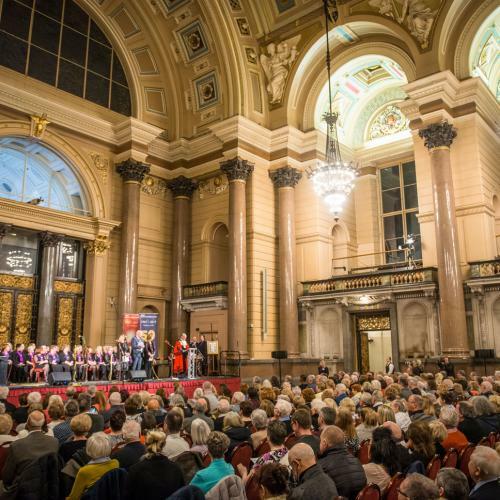 The show, called ‘An accent exceedingly rare: A Love Letter to Liverpool’, was an uplifting performance of music, drama, poetry and comedy and will be staged at St George’s Hall in Liverpool city centre. 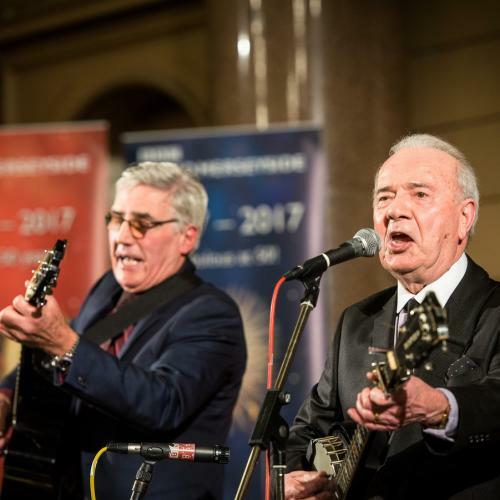 Written and produced by Pauline McAdam, assistant editor at Radio Merseyside who was also the creative director behind the award-winning ‘Merseyside Blitz: An Unconquered People’, it will tell the people’s story of the radio station over the last five decades in a unique way. 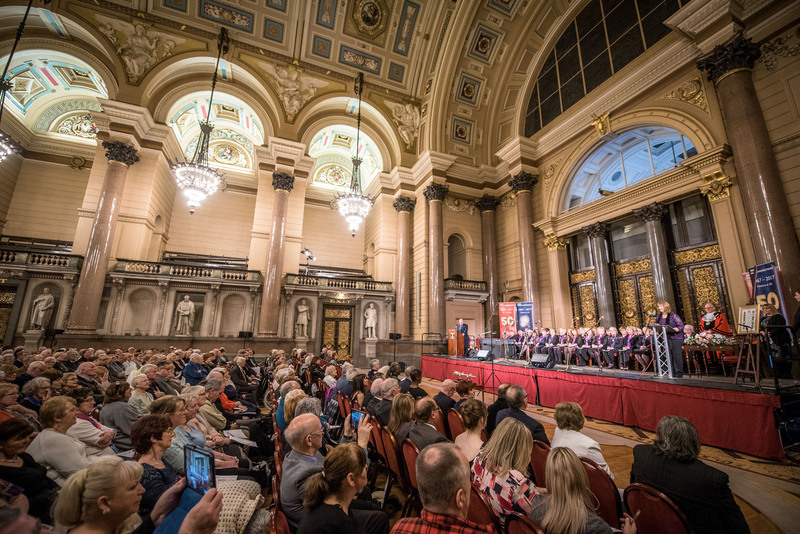 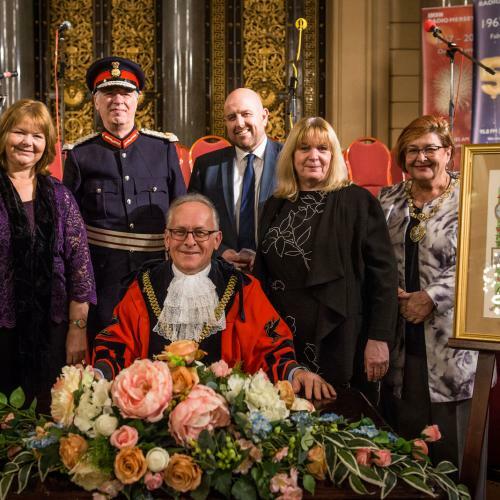 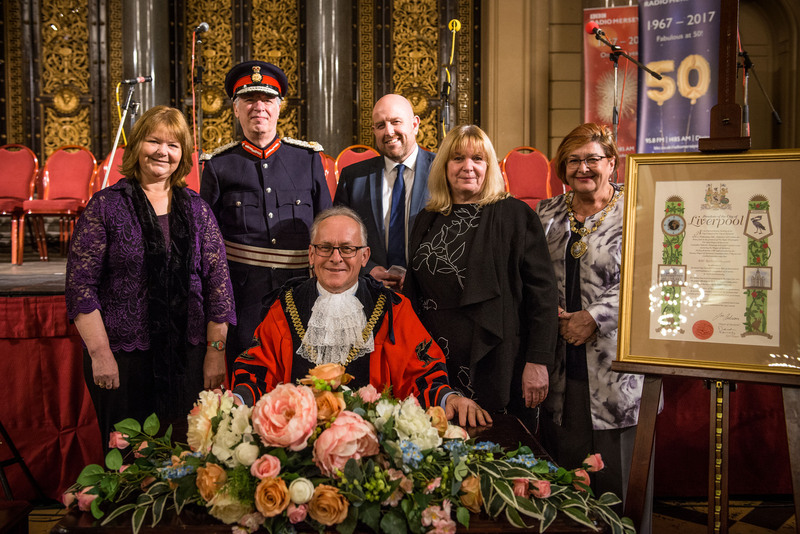 As part of the live performance, an audience of 350 people were able to witness BBC Radio Merseyside being admitted to the Freedom Roll of Associations and Institutions and presented with a Freedom Scroll by the Lord Mayor of Liverpool, Councillor Malcom Kennedy. 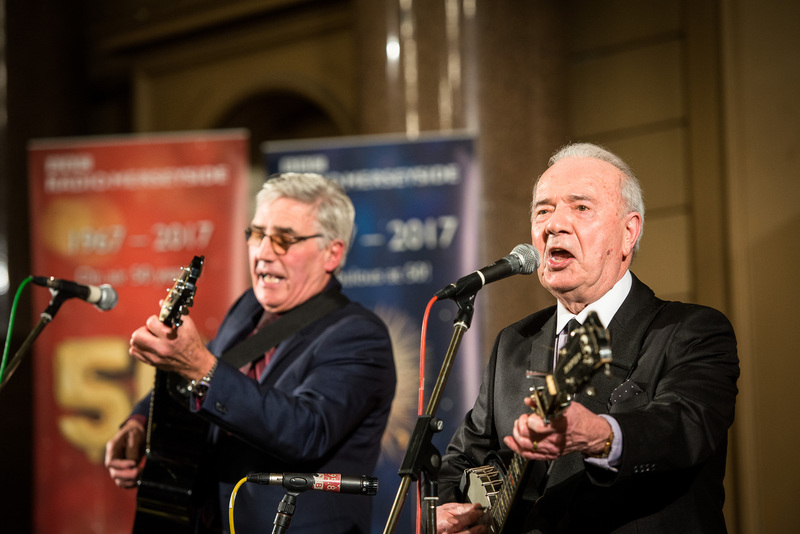 BBC Radio Merseyside was granted Freedom of the City for its service to the community, its relationship with its listeners, its charitable work and its longevity.